Viaporin Tuoppi - yacht race for wooden boats - Sail in Finland! 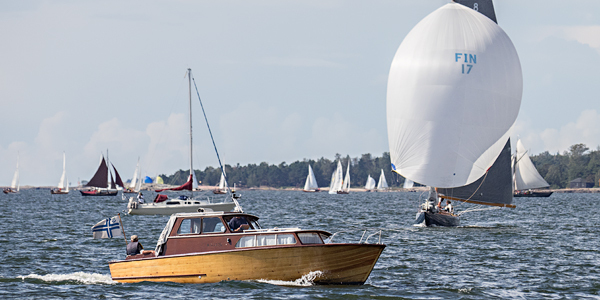 Viaporin Tuoppi, just the Tuoppi among friends, is one of the biggest races for sailing yachts in Finland and the biggest race for wooden yachts in northern Europe. Viaporin Tuoppi means “the pint of Viapori” and Viapori in turn is an old Finnish name for the Suomenlinna Sea Fortress in Helsinki. 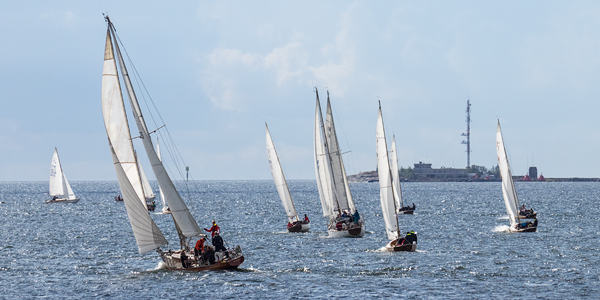 Each year the race collects up towards 200 sailing yacht for a day of yacht racing in the heart of Helsinki followed by a big sailors party at the Suomenlinnan Pursiseura yacht club marina on the Suomenlinna island. 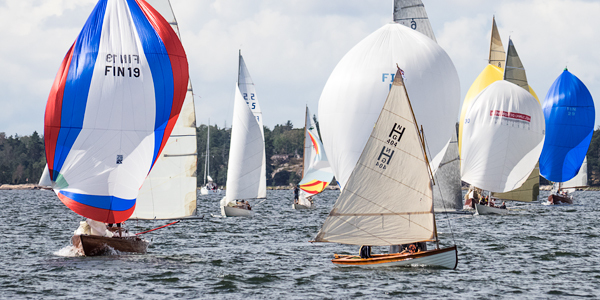 While most of the Finnish sailing elite does compete in the race, it is still very much an amateur event where most boat participate because of the camaraderie and the pure joy of sailing – mostly – classic yachts. Viaporin Tuoppi was actually born out of a calender conflict. The Suomenlinnan Pursiseura yacht club (SuPS) had planned a spring race in 1985 on a date left vacant by a competing yacht club. When the club that originally “owned” the date decided to organize a race after all, the enthusiast at SuPS needed a plan B. 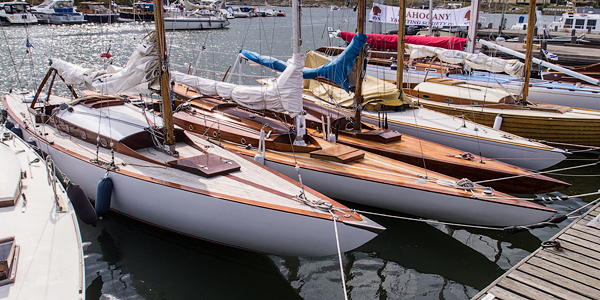 The plan B became a race for only wooden boats as a lot of SuPS members owned wooden yachts. The first Viaporin Tuoppi race already managed to get 42 participants, a very good number. 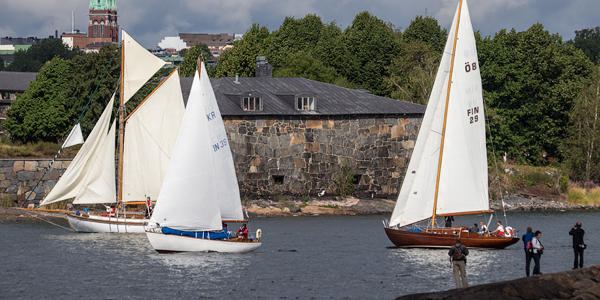 The setting for the race could not be better: the historic Suomenlinna fortress island is the perfect backdrop for wooden yachts. From the start it was clear that just racing alone was not enough. The wooden boat enthusiasts wanted to admire the boats, share experiences and maintenance tips and perhaps even have pint or two of beer together and definitely have a sauna! By 1987 the race already attracted more than 100 competing boats and in 1991, at the bottom of the recession, the race reached it’s peak, 223 competitors. 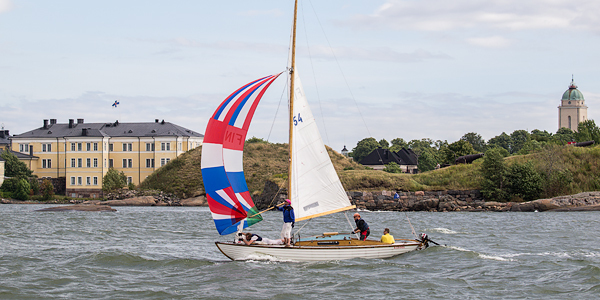 Almost the same number of competitors was reached in 1998 when the Suomenlinnan Pursiseura had its 20th anniversary and the Suomenlinna Fortress celebrated 250 years. The race is also very much about seeing and being seen, the biggest annual show case for wooden boat glory. Up to 2002, the Tuoppi boats had rounded the Suomenlinna island. One part of the route goes thru the very narrow Kustaanmiekka straight on the east side of Suomenlinna. Here the wind mostly died and the fleet created a veritable traffic jam when tens of yachts got packed together. This would perhaps not have been an issue except for the fact that the big ferries to and from Helsinki also used the same narrow route. The ferry captains most have been horrified each year on the day of the Tuoppi when they knew they had to negotiate their way through a maze of yachts, most of them with not enough wind to actually be able to maneuver. The spectators flock to one of the narrowest channels of the race. So in 2002m after the Helsinki harbor authorities threatened to cancel the whole race, the race was moved to its current route. The start happens on the north side of the Suomenlinna island, still pretty much on the route of the big ferries (and the source of much horn honking) and then passes to the west of the Suomenlinna island and out a little bit to sea and then back again passing close the the shores of Helsinki city center and then to the finishing line north of Suomenlinna. This means that the race is very much and inshore race and always attracts spectators along the city shores to watch the show. The race is the perfect time to show off old wooden powerboats as well! Being such an inshore race, one would think that the race would not be too much affected by the weather but nothing could be further from the truth. The race has seen both almost calm weather when most of the fleet does not finish before the time limit to storm races with 10’s of boats disbanded the race and many a fine wooden mast has been lost. For the 2015 race, I had the opportunity to get in “on-board” view of the race from s/y Navigator, a yawl built in 1947. The 2014 race was the 30th anniversary race. 187 boats completed the race. For once the weather was about as good as it gets. Enjoy the 2014 race with these 3 videos! The first video shows the start and challenges of the co-existence between the race and the big ferries. The second and third videos highlight some of the boats that participated in the race. The Viaporin Tuoppi gives a great overview of the diversity of the Finnish wooden sailing boat fleet, one of the biggest in the world. 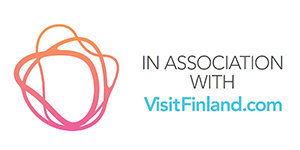 If you want an introduction to the venue of the race, the Suomenlinna fortress island (an UNESCO protected site), then have a look at this video. Want to join the next race? Follow Viaporin Tuoppi on Facebook here for the latest news and updates!